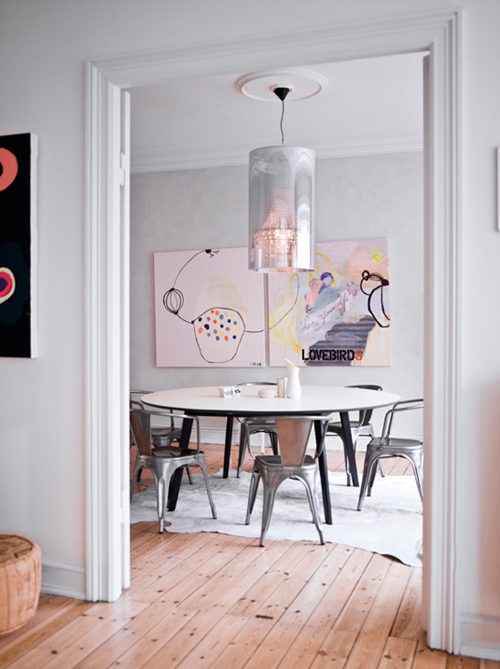 This is the beautiful home of Danish jewellery designer Stine A. Johansen. 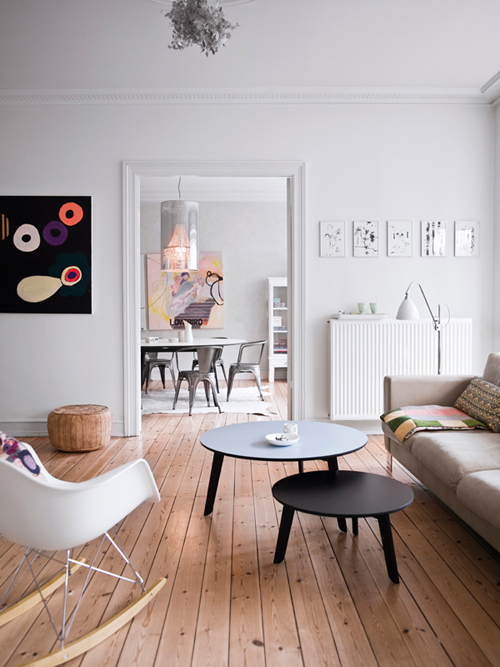 Stine has decorated the apartment with a mix of design classics and flea market finds. 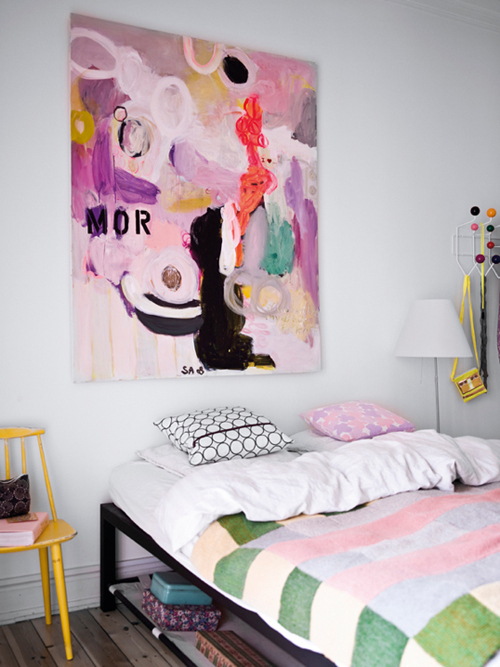 I love how the various works of art bring color to the rooms. 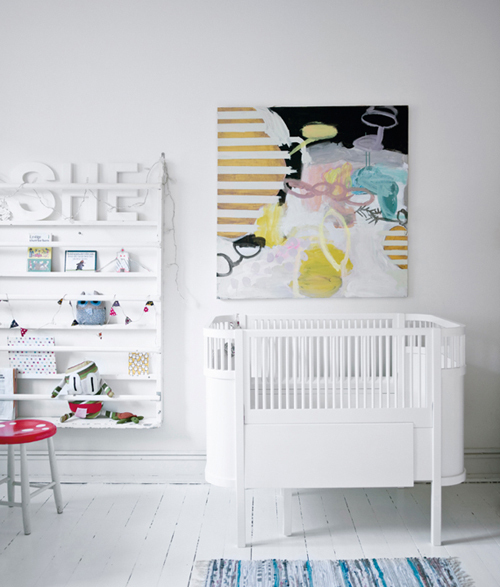 White walls and colourful paintings – fabulous combination! I love all these artworks! are they all the same artist? do you happen to know the artist? i have huge white walls and need to get on filling them with large colorful paintings!!! HERMOSO!!! amo tu blog me da tantas ideas para decorar mi habitacion y mi casa! gracias! y sige asi con tu lindo blog! love the art! please share the artist’s name if you can. What kitchen is that? 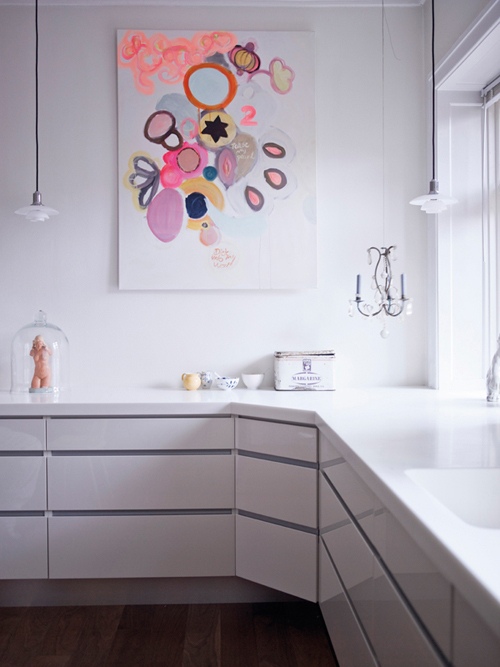 Looks like Valcucine. What is that model of a naked woman on the kitchen top?! All pictures are gorgeous, but I absolute love the artwork! I agree with Kate and Daughter Earth, please let us know who the artist is. Thanks for sharing! 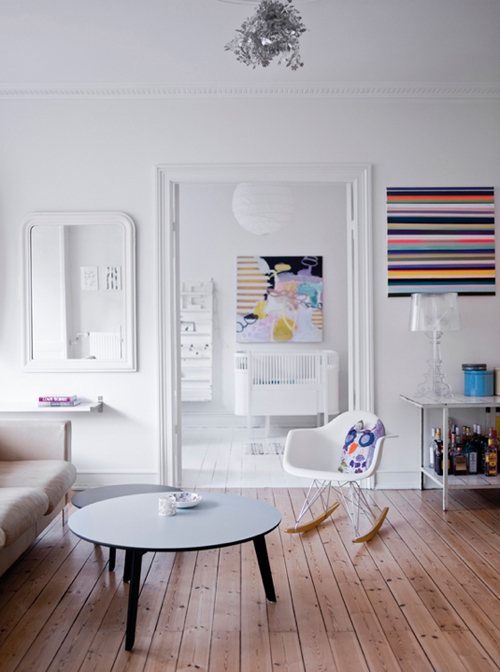 I loooove white walls with splashes of color from art, accessories, even shoes .. makes it warmer + comfy! I LOVE how even the shoes (high heel lovelies) give color to the roon! I love everything about this home. So stunning! halloooo i am so GLAD to read all nice comments I am the artist on all the paintings :O) yes they are for sale…some are sold.. I absolutely love the two round coffee tables!!! I am on a desperate search for the right table for my living room, these would be perfect! Can anyone tell me who they are by? Nice and wonderful pictures. It’s really good .Thanks for sharing.